Mr. Wellens served as an Assistant County Attorney for Anne Arundel County, Maryland for five years before establishing Wellens Law Firm in Severna Park. Mr. Wellens represents clients in the practice areas of Personal Injury, Medical Malpractice, Contracts, Family Law, Special Education, Collections, Credit Repairs and other subject matters. 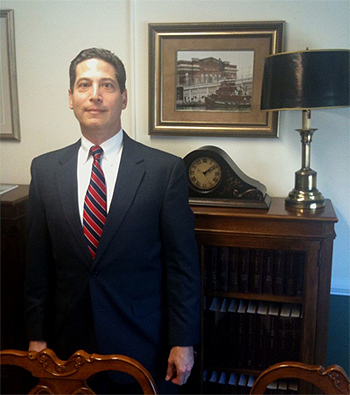 Brian S. Jablon, a Member of Wellens & Jablon, LLC, has been practicing law for 24 years and concentrates his practice in the areas of litigation, construction law, contract law, and real estate law. 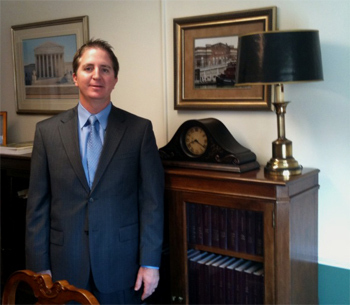 Brian has distinguished himself as a seasoned litigator, and has been involved in a number of notable cases over the years, from successfully prosecuting the claims of the estate of a teen killed in a hazing incident, to winning a jury verdict awarding substantial punitive damages against an insurance company, to leading a trial team to win a multi-million dollar verdict against a town arising from its failure to maintain its sewer system, to successfully representing two teens in a jury trial against their employer who sexually harassed them. Brian’s philosophy is to treat all people and handle all situations using principles of “the Golden Rule,” to utilize reason, rationality and mastery of the law as the key weapons in any fight, while zealously representing his clients in every matter. Brian has been rated AV (the highest rating) for attorneys by Martindale Hubbell®, and has been named a Super Lawyer in Maryland (recommended by his peers).